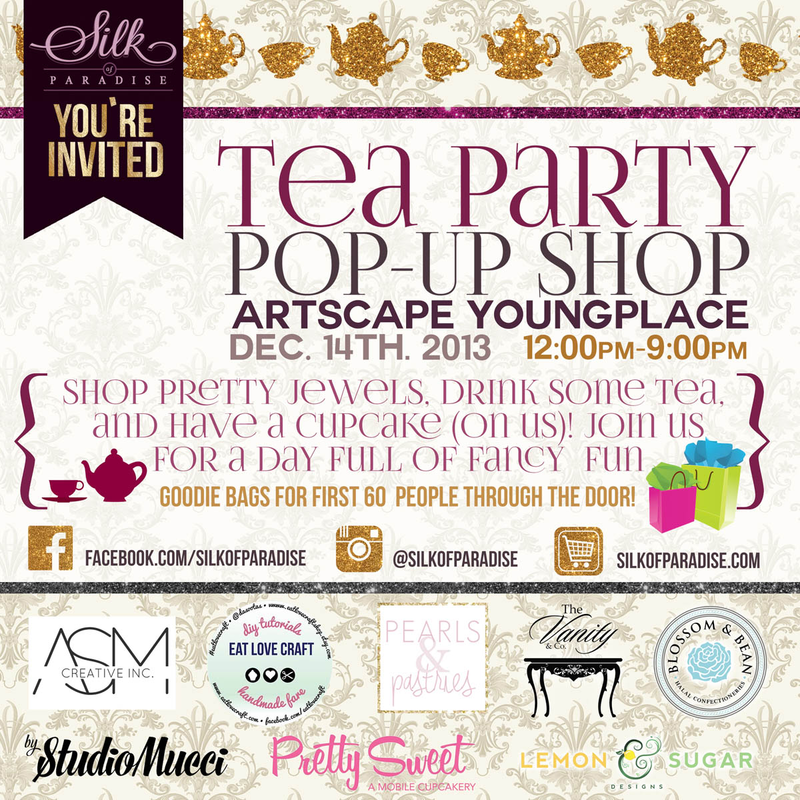 You are invited to the first ever Silk of Paradise Pop-Up Shop (TEA PARTY STYLE)! Join us for a day full of fancy fun with some decadent teas and cupcakes from Pretty Sweet. Our entire range of jewels and tons of never-seen-before pieces will be up for purchase. Once you’re done shopping you can head over to the photo booth for some silly and fancy fun! Eat Love Craft will be offering gift wrapping services for those of you who need holiday presents wrapped. Please RSVP on our Facebook page (see below) and invite your friends. We’d love to have an approximate number to properly organize treats so if you don’t have Facebook, send us an email and we’ll put you on our list. Goodie bags will also be offered to the first sixty people through the door!